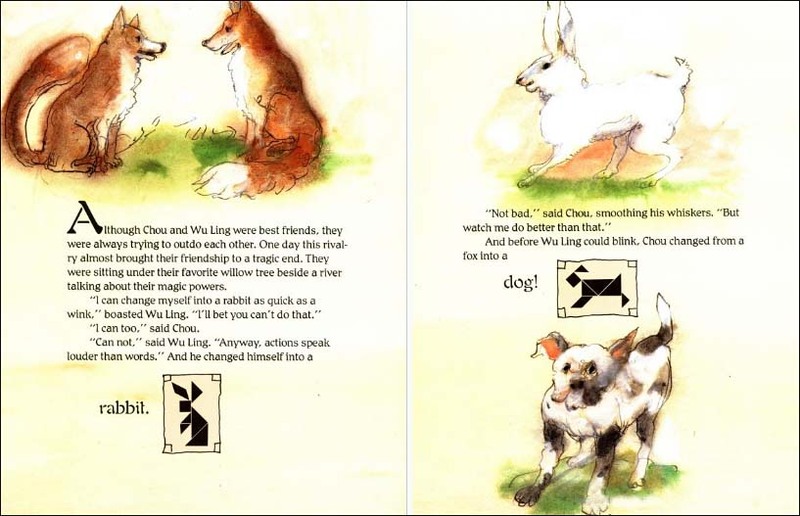 A girl and her grandfather sit under a tree and share the folktale of two shape- shifting fox fairies engaged in a competition to outdo each other's animal incarnation. In the end, danger brings an end to the competition and a renewal of their friendship. 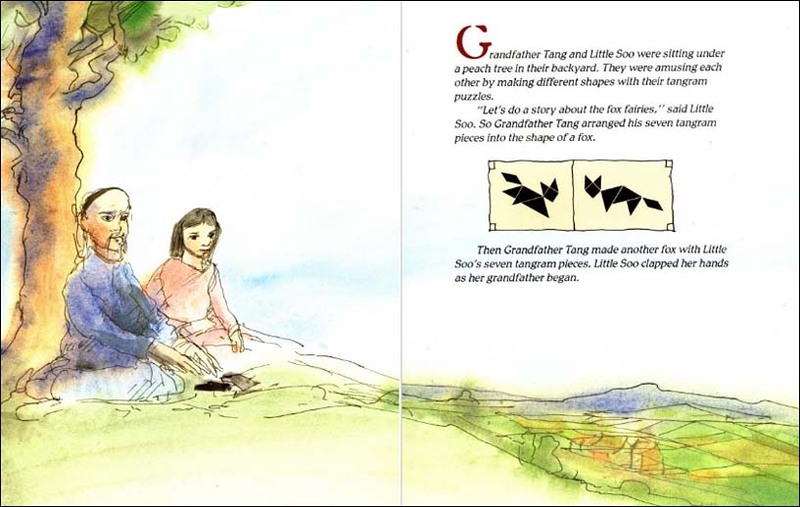 A tangram of each animal is shown on the respective pages, making this a great lead in for hands-on activities. We passed over this book many times because the cover didn't draw us in. However, we kept seeing it recommended, so we too a look...and really it! 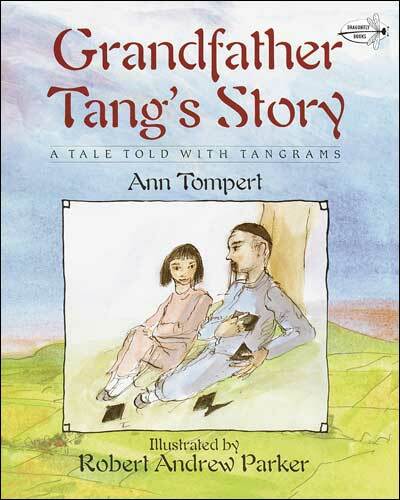 This book provides a nice literacy connection for learning tangrams.